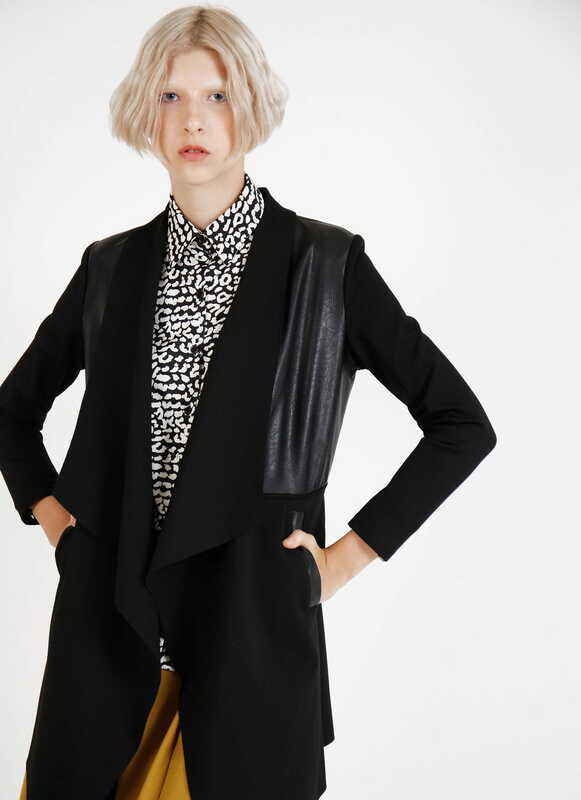 The extended blazer, Sofia Blazer, features a strikingly edgy cut and texture. 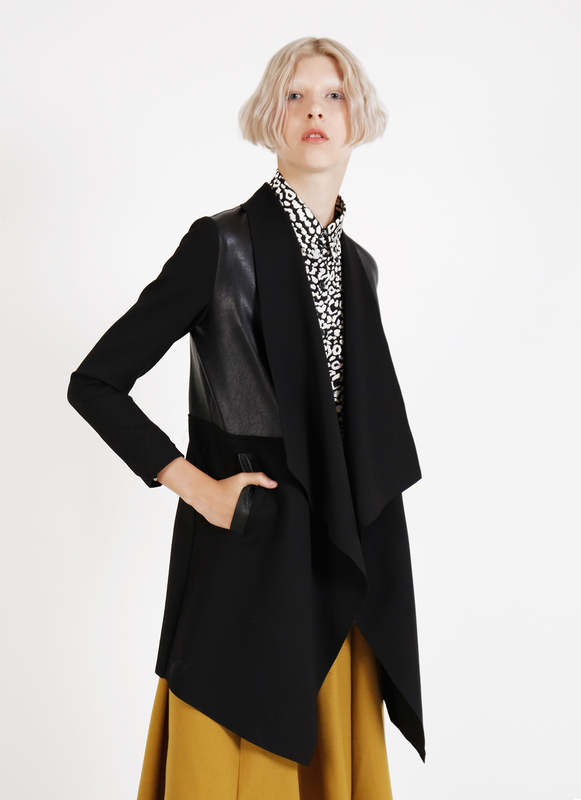 It has asymmetrical hemline, contrasting fabric at the top, and a fluidly falling collar to shape a dashing silhouette. A windy day essential that could also be one of your best layering gears.